The Normande crepe at Suzette Brittany Bistro. Photograph by Jared Sych. 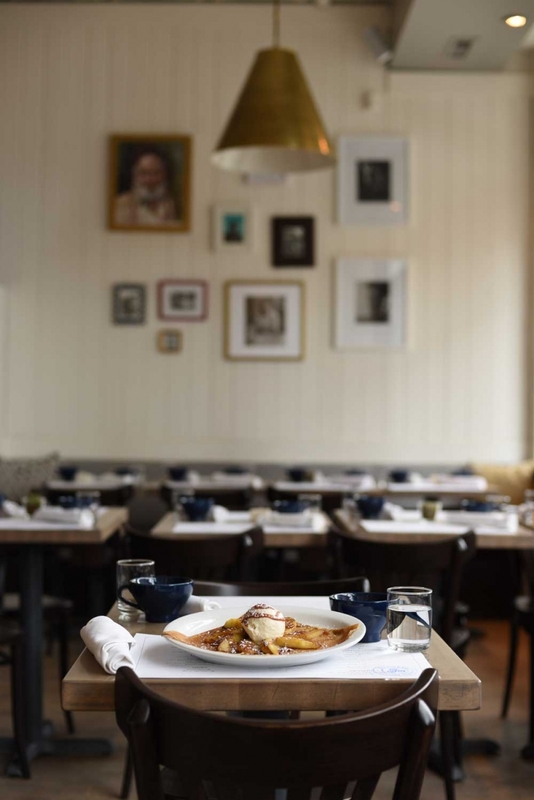 This petit French bistro takes the best ingredients and turns them into classic and uncomplicated dishes with robust flavours that will transport you directly to the French countryside. Dining here will have you sitting up straighter and minding your manners more than usual as you politely tuck into the very classic French fine-dining menu and extensive wine list. Savoury galettes (gluten-free buckwheat crepes) dominate the menu but there are other excellent choices as well, including fish en papillote and the must-order salted-butter and caramel dessert crepes.